Christmas in Paris. 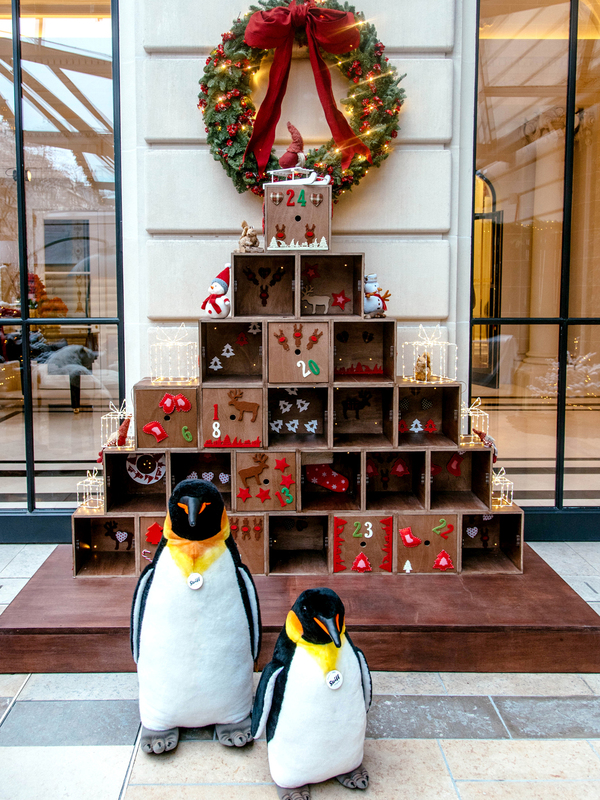 Christmas may be the most beautiful time of year to be in Paris! The city undergoes a transformation turning on its Christmas lights and it is, if possible, even more beautiful that during the rest of the year. The Parisians know how to create the most perfect Christmas atmosphere with decorations, trees, garlands: everything is adorned with glowing lights. I gathered my favorite addresses and some tips in this little guide! 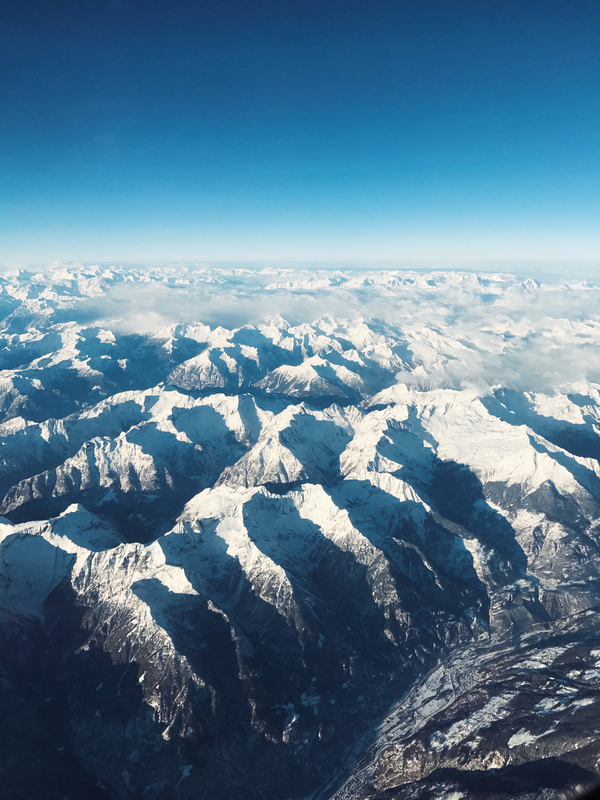 We took off from Milan Malpensa airport with the first flight operated by Vueling in the early morning, in order to arrive in time to see the city with the light of day (it was December and the sun set before 5 pm). 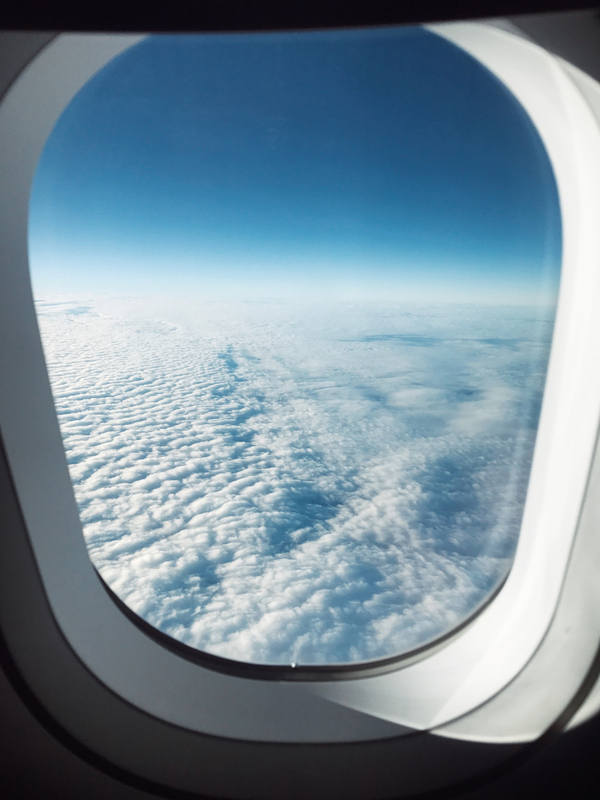 Vueling goes to Paris Orly Airport, which is just a 40 minute drive from the city centre. It was Sunday morning, traffic was low and the time literally flew! First stop, as usual, the hotel. 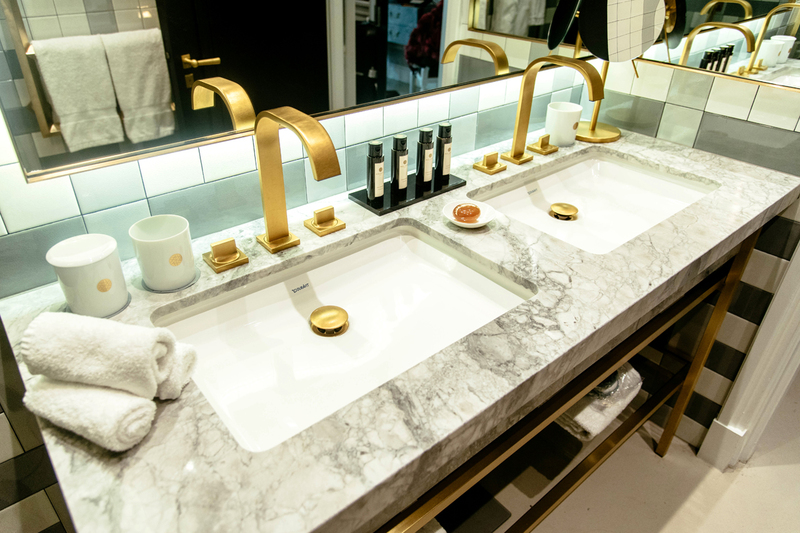 I stayed at Nolinski Paris, a newly opened five-star hotel with spa located at 16, Avenue de l’Opera: an enviable location, as it is exactly halfway between the Opera Garnier and the Louvre Museum. Here, too, there was a strong Christmas atmosphere: from in the hallway it seemed to be walking in an enchanted forest! Our room was fabulous, with a bright and spacious study area, a comfortable bed, a wardrobe, a bathroom with double sinks and a shower, and also a nice terrace on Avenue de l’Opera. I really appreciated the modern furniture, the fine materials and the many mirrors! 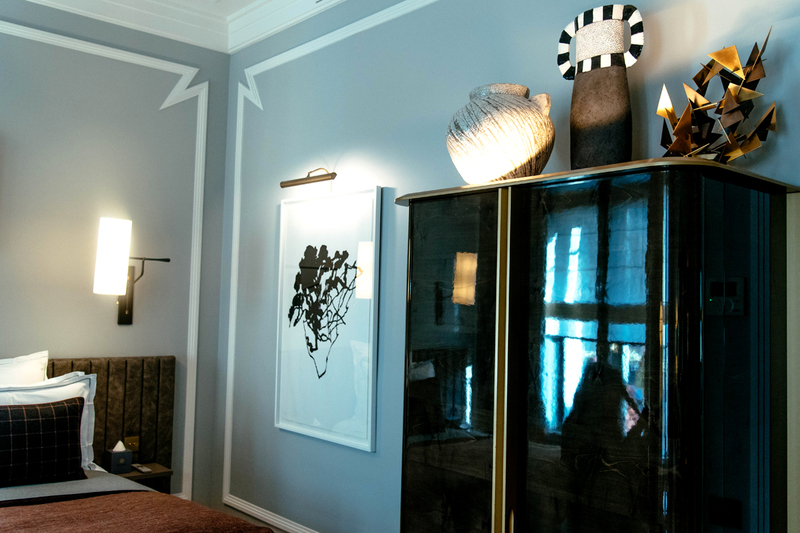 Le Nolinski is located in a very privileged position: in just 5 minutes walk you’ll find yourself in one of my favorite places of Paris, Palais Royal. Another 5 minutes walk and you’ll find yourself among the pyramids of the Louvre. This time I promised myself to enter inside of it but unfortunately I did not arrive in time: let’s hope for the next time! 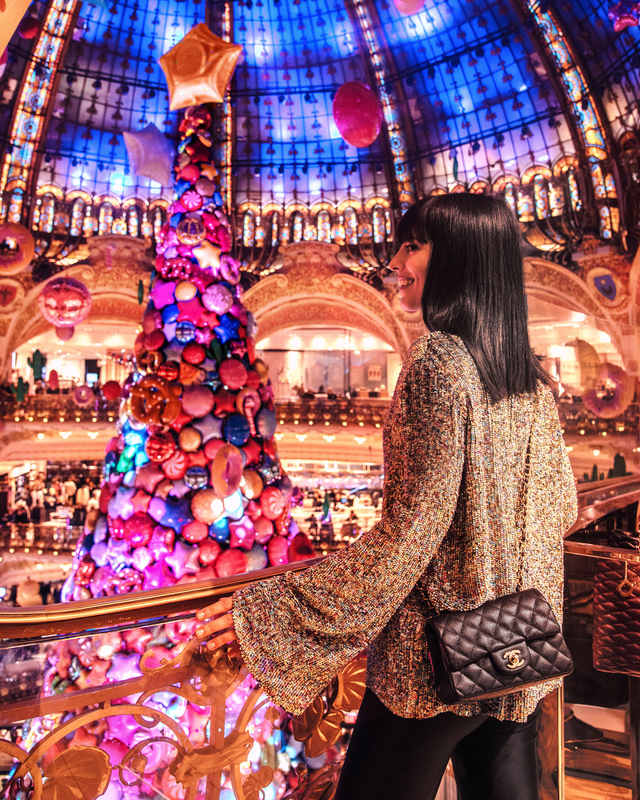 As soon as it started to get dark and cold we headed to the Galeries Lafayette Haussmann, not with the intention of doing shopping nor even to warm up, but to see their Christmas tree. It is in the tradition of the Galeries to celebrate the festive season with the installation of Christmas markets that run on red carpets along their entire perimeter. 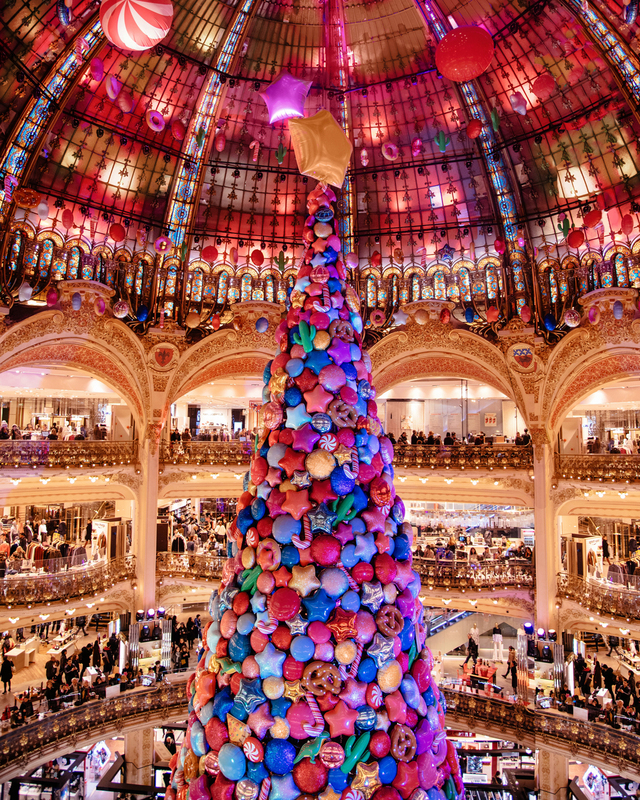 This year they set up one of the most original and surprising Christmas trees I have ever seen: suspended under the main dome, entirely made of colored balloons of different shapes. 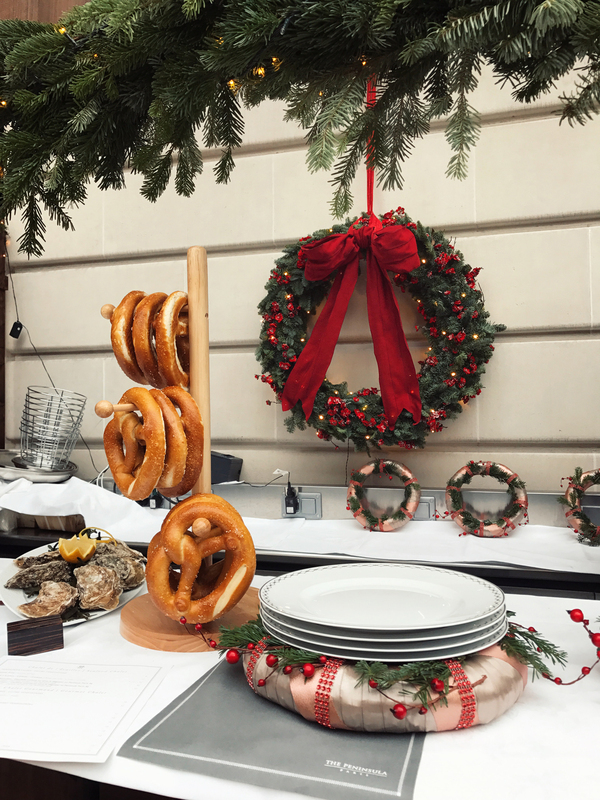 Stars, candy canes, pretzels, donuts … And even cactuses! But there’s more: about every 10 minutes the tree comes alive. The balloons start to dance in a show of music and lights: prepare yourself to be amazed! We then returned to the hotel to enjoy a dinner in the Grand Salon. A private lounge with comfortable blue velvet chairs, soft lighting, a bronze fireplace and a majestic piano. We were so hungry that we order many different dishes of their French cuisine revisited, with proposals based on fishes and also vegetarian friendly ones: all very tasty! The day begins with a typically French breakfast at Brasserie Rejane: croissants, pain au chocolat and baguette with jam, plus a savory dish and a bowl of fresh fruit salad! After breakfast we headed to the Church of Madeleine. 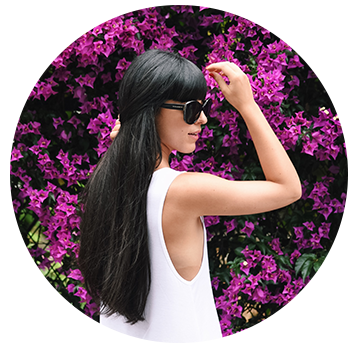 Walking around we discovered a small passage that leads to a majestic courtyard, all surrounded by boutiques of the biggest French brands and not only. It’s called Village Royal and in the center, far from traffic and the tourist crowd, there’s a really magnificent Christmas tree! It’s shopping time! 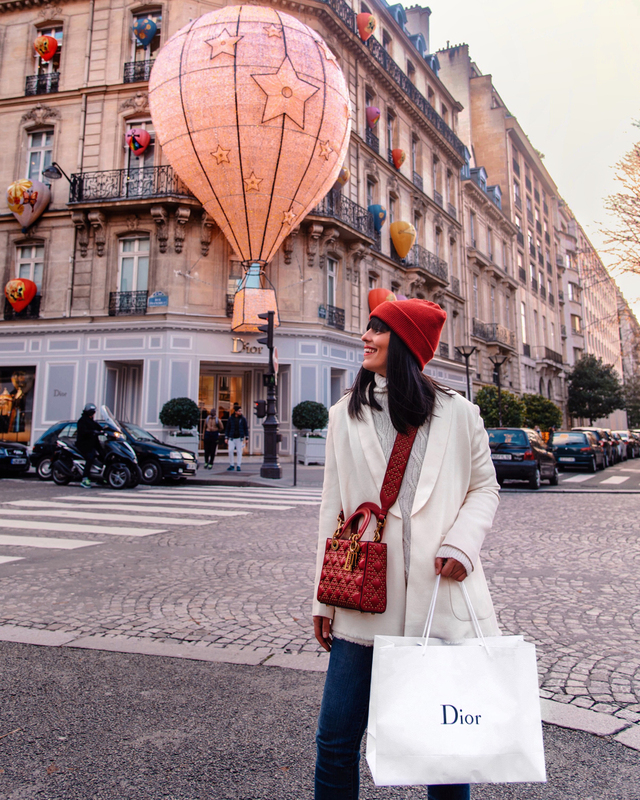 It was a long time since I dreamed of a new Dior handbag and I wanted to buy it in Avenue Montaigne, where is located their most beautiful boutique in the entire world. 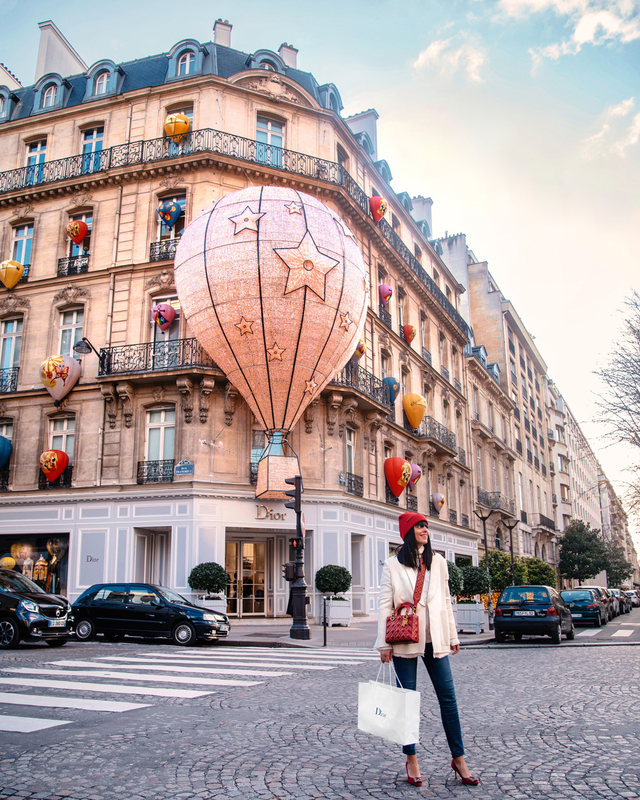 This winter Dior made it even more magical thanks to the installation of bright balloons on the entire façade! My Christmas present? A Lady Dior bag in soft red leather adorned with antique gold studs: a real masterpiece by Maria Grazia Chiuri! At this point it was time for lunch and we headed to one of my favorite places in Paris to have lunch, where I usually order the soup of the day and the avocado toast. It’s called Le Pain Quotidien and these are my two favorite addresses: one is close to Avenue Montaigne and the Champs, in 68 Rue Pierre Charron. The other is located in the pedestrian square of the Saint Honoré market! Paris has many covered galleries, ancient meeting and commerce places located under wide arches with glass roofs that today are still fascinating everybody. After lunch we headed to Galerie Vivienne, perhaps the most Christmassy of them all! Inside the Galerie there are boutiques of clothing and furniture, a bistro, a toy store and a shop without a sign that contrasts with all the others. This is a small vintage bookstore full of old postcards and maps, with a very special window: among the many pile of vintage books stacked on each other there are three little pigs! From here we took a Uber to reach the Trocadero: along the way we walked Rue de la Paix, a row of bright enlightened pines tree next to each window to Place Vendome, where the pines become gigantic, perhaps firs, two for each corner of the square. And then the lights of Rue Saint Honoré and Place de la Concorde, for the last year illuminated in the night by the Ferris wheel with the colors of the flag of France. A succession of truly spectacular decorations! We arrived at the Place du Trocadero just in time to attend another show: the one of the 5 brightest minutes of all Paris. The appointment is at the stroke of every hour after sunset! Even if you see me dressing not warmly enough in the photos, the weather in Paris at Christmas and in winter it isn’t mild. There is almost always the wind and the temperatures are quite low, tending to zero. I recommend dressing with many layers and never forget a turtleneck sweater, gloves and hat! We then moved to a new hotel, where we would have spent the last two nights. We change district to reach the Hotel Grand Pigalle in South Pigalle, very close to Montmartre and Sacre Coeur. 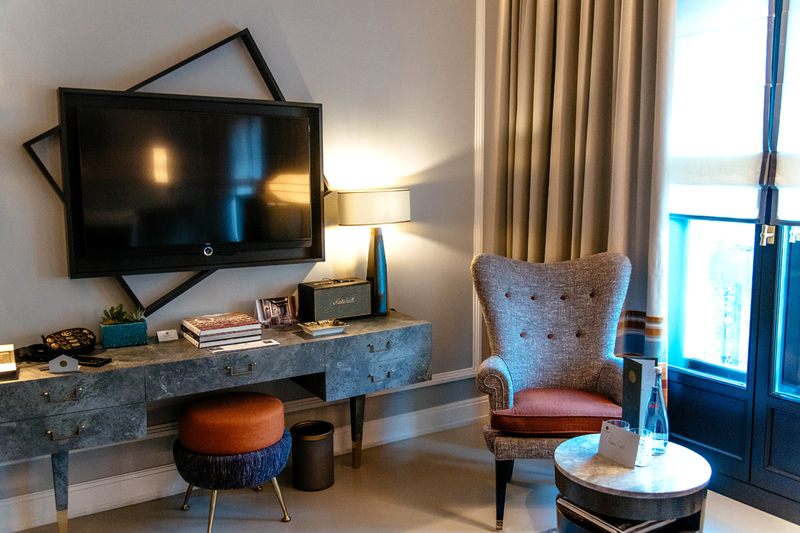 It is a boutique hotel in modern Parisian style, made up of minute corridors, carpets and tiles that echo the octagonal design, also symbolic of the shape of the South Pigalle district. All very nice and clean, as well as the room in which I stayed, with a comfortable double bed overlooking the terrace and a nice bathroom with tub and shower! The day in Paris couldn’t start better than with room-service. This is the view from the adorable tiny terrace of my Henry Monnier room, while I was eating pain au chocolat sitting between the roofs of Paris! 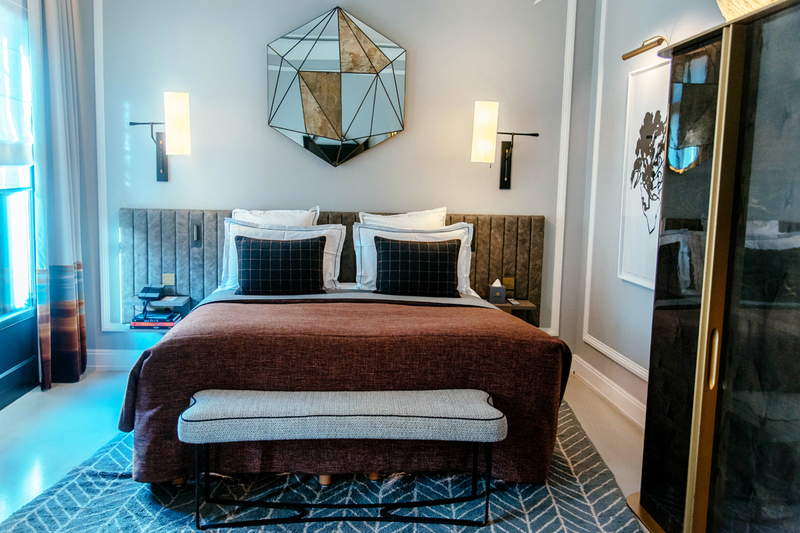 The Grand Pigalle Hotel is located in one of the Parisian districts most adored by artists, exactly on the corner of Rues Victor-Massé and Henry Monnier, literally between a brasserie and another. A two minute walk from the Moulin Rouge and the Café des Deux Moulins (that of The fabulous world of Amélie) and five minutes from Le Mur des Je t’aime, a blue wall with the words “I love you” in all the languages of the world. 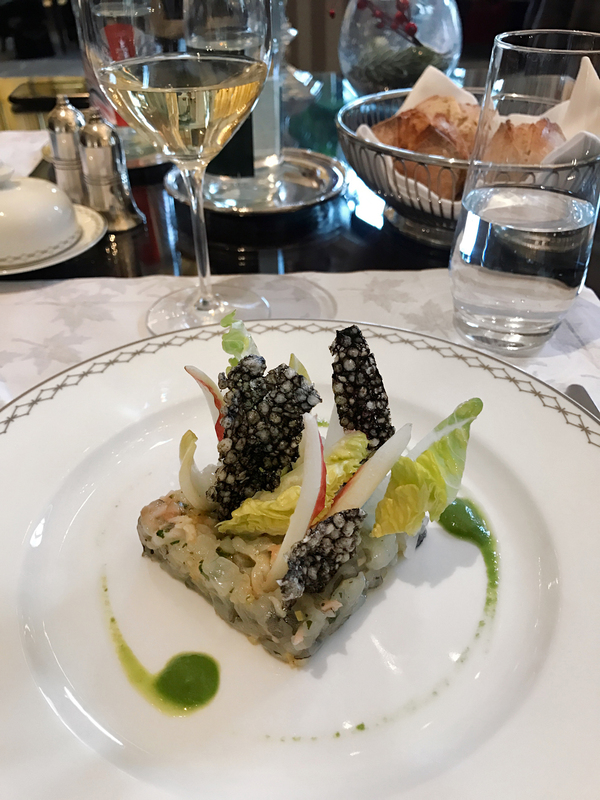 After discovering the surroundings of South Pigalle we headed for lunch at The Peninsula Paris. Before entering the elegant nineteenth-century building that houses it, we were enchanted by the Christmas markets set up in the outer space. Among the rows of whitened pines there was a sled driven by giant teddy bears! We then entered the Le Lobby Restaurant, with a nice menu full of French and international dishes. Each very well presented and delicious and also the service really excellent! They say Le Lobby is famous throughout the city for his Sunday Brunch: I’ll have to go back and try it! The salon is very refined, with an impressive crystal chandelier and golden decorations. Here, too, a majestic Christmas tree full of red packets: unfortunately, no one carried my name on it! 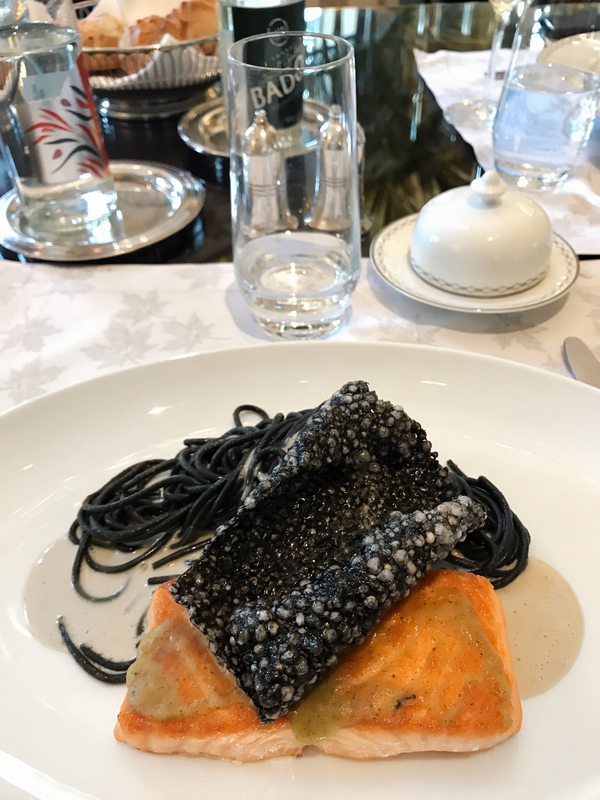 I then went up to the sixth floor of the Peninsula where there is another restaurant, called L’Oiseau Blanc, with a panoramic view that they told me to be spectacular, all over Paris and on a glimpse of the Eiffel Tower. Unfortunately we could not see anything because of the thick fog. In the late afternoon we returned under the Tour and in front of our eyes a beautiful spectacle opened: pink clouds partially covered the tip. 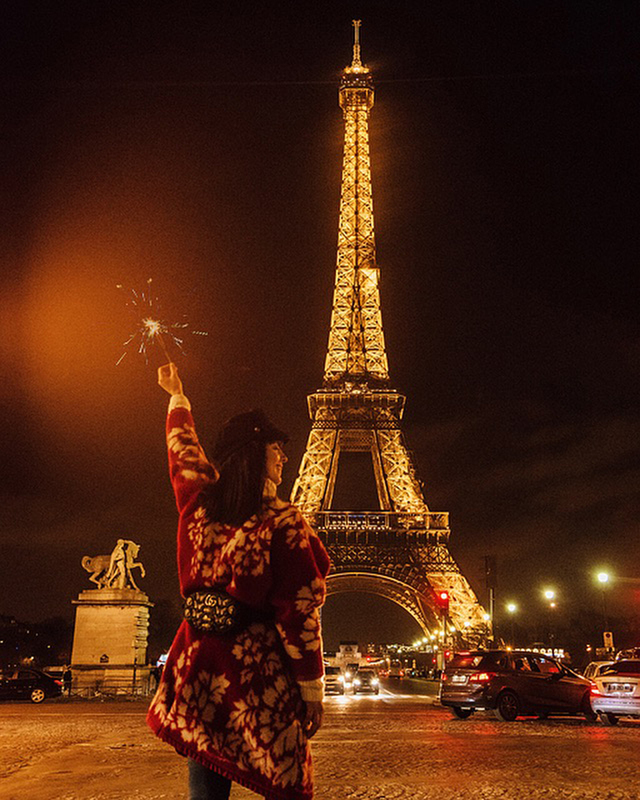 How magical is Christmas in Paris? 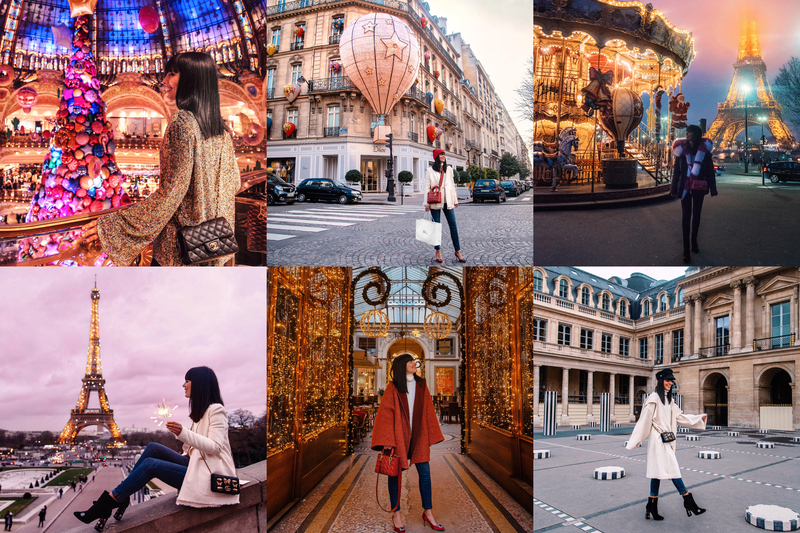 We have come to the end of this travel diary and I hope so much that my list of what to do in Paris at Christmas may be useful!